Since I purged all my NRXs to buy Conquests, I miss a couple. Sold my CNQ843c, so that will be replaced by a NRX 843c MBR, and might buy a 893c JWR...again. I should never have gotten rid of those two. Reservoir wrote: I wonder what caused it to crack, was it over tighten? Unknown. But my other two Conquests which were tightened similarly didn’t crack. Two weeks after dropping them off for warranty, replacements showed up. Thanks Shimano/GLoomis! Topic: CNQ842c What are you using it for? Re: CNQ842c What are you using it for? Think of the CNQ842c as an NRX 842.5c. More backbone for sure. Great for Jerkbaits. So very happy with this rod. I also use this for small cranks. It is slightly heavier than the Conquest 842s. 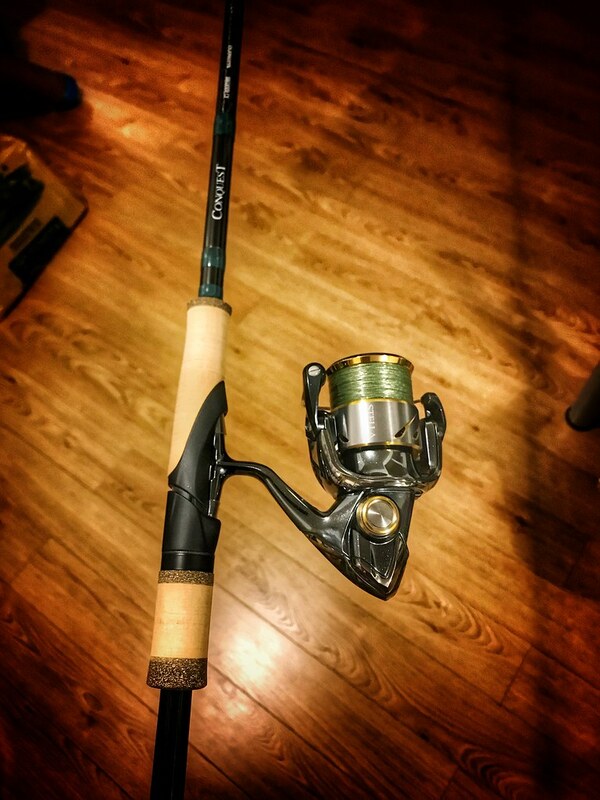 I throw weightless senkos with this rod, and again, fantastic.